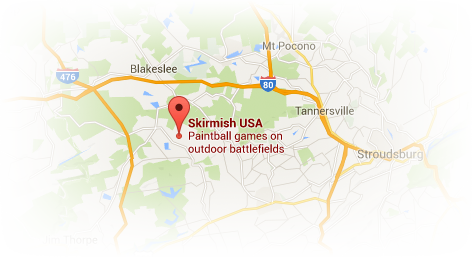 Bring some friends to play Skirmish Paintball, get rewarded! Check out your FREE STUFF! 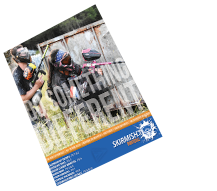 Our Skirmish Paintball free group leader benefits make planning a paintball adventure worth your while! Our goal is for you to have a memorable day on our premiere paintball fields and also to ensure your outdoor adventure planning is easy and rewarding. You are rewarded for bringing your friends and family along. The more people you bring to play paintball, the more FREE STUFF you get. Click here to start planning your trip today! Be sure to check out the group benefits for planning a whitewater trip as well. Private paintball playing fields – just you and your friends! FREE Tippmann Cronus Paintball Gun (to keep!) OR 2000 paintballs – that’s one full case! 2 FREE Tippmann Cronus Paintball Guns (to keep!) OR 2000 paintballs – that’s one full case! Group Leader Benefits APPLY TO ADVANCE RESERVATIONS ONLY & are based on PEOPLE PRESENT! Free passes do not apply toward the per person count required for group leader benefits. *Photo & plaque available on weekends March through mid-December only. No two specials apply. Don’t forget, in addition to the group leader benefits listed above, every player that has an advance reservation and is paid in full at least 24-hours in advance will receive 100 free paintballs.